iPhone, iPod touch, and iPad.Requires iOS 4.3 or later. 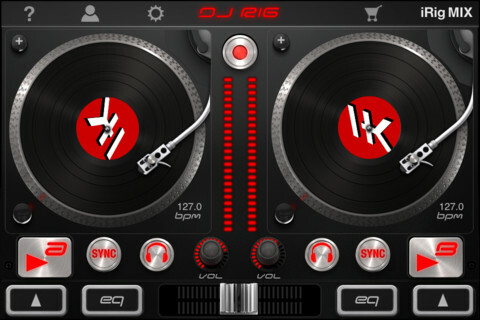 DJ Rig is a full featured double deck DJ Mixing app for iOS devices. It is compatible with your music library and automatically play, tempo sync and beat match your songs. It also offers sample-based pads, performance recording and other DJ mixing effects. It is compatible with the new iRig MIX audio mixer for iOS devices.